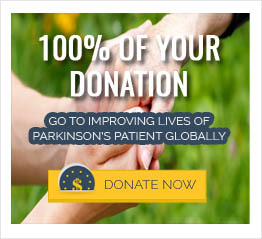 Are Parkinsonism and Parkinson’s disease the same thing? No, they are not the same thing. Parkinsonism is a very non-specific term including motor deficits of stiffness, slowness, tremor, balance and gait problems. Usually, the presence of two of these symptoms is considered to be consistent with parkinsonism. There are several conditions that mimic Parkinson’s disease in their presentation—which sometimes makes them difficult to tell apart. These conditions fall under a vaguely defined category aptly termed parkinsonism (or some variation, such as Parkinson’s disease-like disorder or Parkinson’s Syndrome). In a clinical setting, there are several factors that can help distinguish Parkinson’s disease from parkinsonism. Parkinson’s disease is insidious by nature and takes a long time to set-in, progressing slowly over time; whereas most of conditions which are parkinsonism, evolve rapidly. Also, Parkinson’s disease typically presents after one-half of the 400,000 dopamine-producing neurons of the substantia nigra are lost. Parkinsonism disorders, however, typically present only after a loss greater than 200,000 neurons. Parkinson’s disease though is a separate clinical entity which has set clinical and pathological definitions. In short, every person with Parkinson’s disease has Parkinsonism, but the opposite is not necessarily true. Approximately 80% of cases of parkinsonism are due to Parkinson’s disease.